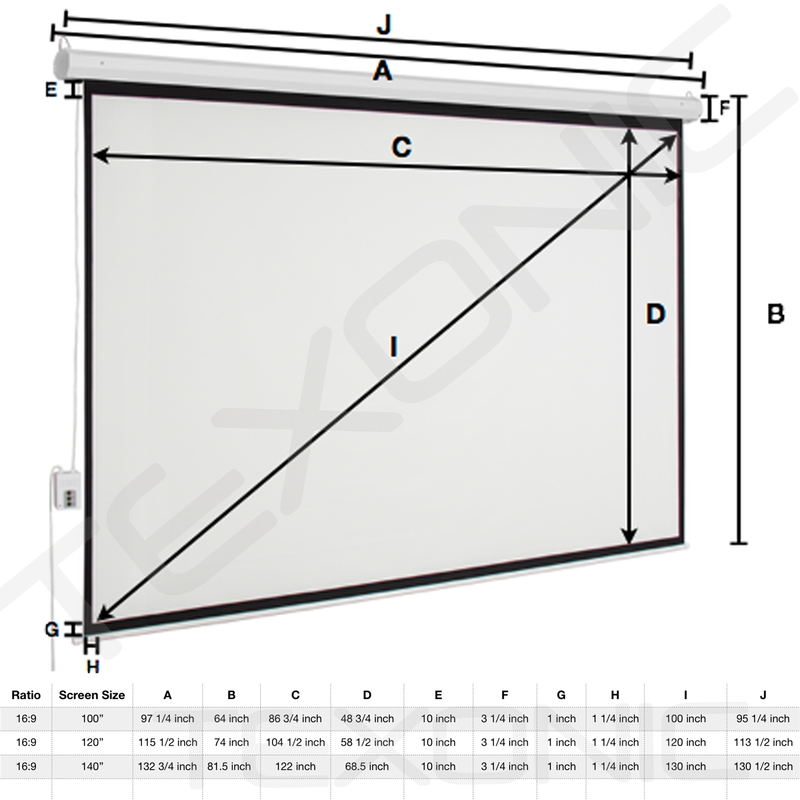 The TEXONC motorized projection screen is perfect for education, commercial presentations or residential home cinema. This screen is equipped silent operation motor with extended operational longevity and low power consumption. The included standard Radio Frequency (RF) remote control allows operating the screen freely in the room. Its 3-way wall switch provides additional control options. Black backed screen material eliminates light penetration for superior color reproduction. Standard 4-side black masking borders. Material thickness: 0.56mm (fiber glass). It's easy to clean! FOR EDUCATION, COMMERCIAL PRESENTATIONS OR RESIDENTIAL HOME CINEMA areas. Available Screen Size: 100", 120", and 140"